Soon after Lapua released the 6.5×47 cartridge, clever wildcatters recognized the potential of a necked-down 6mm version of the case. The 6-6.5×47 has emerged as a great, do-it-all cartridge that has performed admirably in High Power competition, 600- and 1000-yard benchrest, tactical matches, and even F-Class. But the 6-6.5×47 is not just for paper-punching. An efficient cartridge with great inherent accuracy, the 6-6.5×47 has proven to be an excellent, flat-shooting, long-range varmint round. 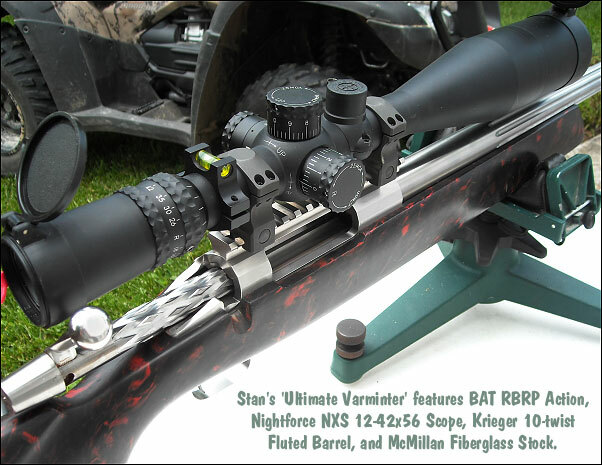 Here we feature Stan Stewart’s new BAT-actioned 6-6.5×47 varminter. 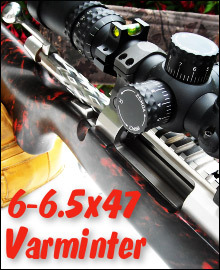 Fitted with a Krieger 1:10″ barrel, Stan’s rifle excels with a wide variety of varmint bullets. Whether driving 70-grainers at 3700 fps, or pushing the wicked Berger 88 High-BC FB bullet at 3400 fps, this 6-6.5×47 delivers half-MOA (or better) accuracy, in a well-balanced, easy-handling rifle. 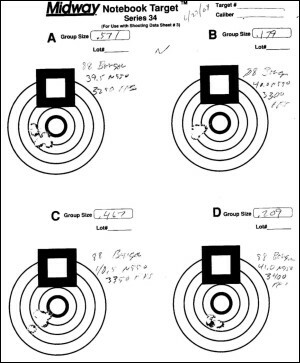 Stan has tested a wide variety of powder/bullet combos and shares his 6-6.5×47 load data in a detailed chart at the end of this article. 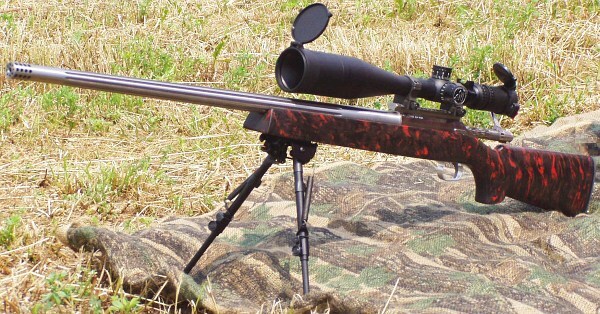 After selling my 6mm Remington Ackley Improved a couple of years ago and wishing I hadnt, I begun to think about a new custom rifle for work on Prairie Dog towns and New York wood chucks at 600+ yards. I have a .223 AR and 22-250 for medium ranges but I missed my 6mm AI for long-range work so I started asking questions. The 22-250 is a fine chambering, but it is hard on barrels, and I think the 6mms may have an accuracy edge out past 400 yards. Also, shooters today enjoy a vast collection of really great 6mm bullets. Barrel life and bullet options were two main reasons I decided to build a 6mm rather than another .224-caliber gun. But the question remained… what 6mm chambering to choose? Although I missed my 6mm AI, I did not miss fire-forming the brass, so when I learned about the 6-6.5×47 Lapua, a wildcat case easily formed by necking down the parent 6.5×47 case, I thought this might be the answer. I started doing serious research on the 6-6.5×47. I received a lot of good advice from AccurateShooter.com and other websites on the pros and cons of the new cartridge. Most reports were positive. I also talked to gunsmiths–quite a few recommended the new cartridge as well. Some of the cartridge attributes I liked was the small rifle primer, enough case capacity to efficiently reach 3700 fps with a 70gr bullet and 3400 fps with an 85-grainer without being terribly over-bore. Most important was the 6-6.5×47’s reputation for inherent accuracy without being finicky like my 6mm AI. (Before I start receiving mail telling me how nobody elses 6mm AI is hard to load for, I am only speaking from my experience.) So, having chosen my cartridge, I started asking for gunsmith recommendations. Again the folks on the AccurateShooter.com Forum were very helpful. After many conversations I settled on Dave Bruno in Dayton, Pennsylvania. He was a good choice. After working with Dave on this project, I could not be happier. He was very helpful considering this was my first complete custom gun. From the get-go, I knew I wanted a BAT action and Krieger barrel. BAT Machine and Krieger Barrels enjoy a great reputation in the shooting industry. BATs are beautifully machined, smooth, and strong. Krieger cut-rifled barrels are known for dependable accuracy and long barrel life. While many 6-6.5×47 shooters choose an 8-twist barrel to shoot the 100-108gr bullets, I would be using smaller, varmint-weight bullets, so I selected a 1:10″ twist Krieger. This would allow me to shoot bullets from 60 grains up to 90 grains. Dave chambered the barrel with a .269″ neck and fluted the barrel to save weight. I also had Dave install a Vais muzzle brake. The Vais brake is more expensive than some others, but it is a proven product. Dave fitted the BAT with a 2 oz. Jewell trigger, mounted a +20 MOA scope rail, then pillar-bedded the BAT into a McMillan Hunter-Class-style fiberglass stock. That pretty much covers the hardware other than optics. For this rig, I chose a 12-42×56 Nightforce NSX. Pricey yes, but I figure you can’t go wrong with a Nightforce. The NSX is mounted in a set of Nightforce rings which I hand-lapped for optimal fit/alignment. 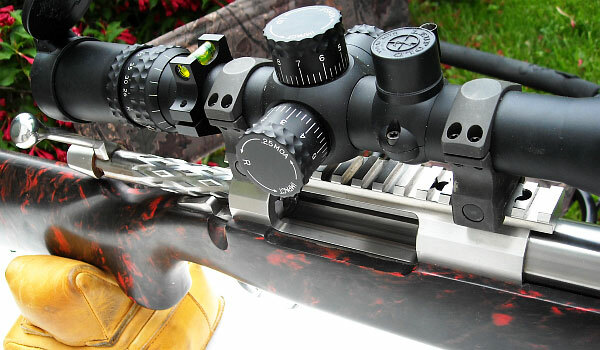 A lot of shooters pay big money for their scope, but don’t bother to lap their rings. Lapping seems to be a “lost art”, but when done right, it can help you achieve a perfect fit of scope to rings. I had selected a few powders and bullets recommended by other 6-6.5×47 shooters and started by seating all the bullets .005″ off the lands. The powders I selected were Varget, Vihtavuori N-550 and Reloder 15. I was very pleased with the 88gr Bergers. In initial testing, they grouped well and I was able to drive them to 3400 fps easily. As I wanted a gun for long-range varmint work, I was hoping the 1:10″-twist barrel would provide enough stability for the heavier weight bullets. It did — the ten-twist worked great! I was able to shoot the lighter weight bullets and the 88s were superb. With a BC of 0.391, leaving the barrel at 3400, these bullets were still traveling at 2600 fps at 600 yards! Stan Stewart didn’t just grab a box of bullets off the shelf and head off to the varmint fields. He researched a broad selection of varmint bullets suitable for a 10-twist barrel. 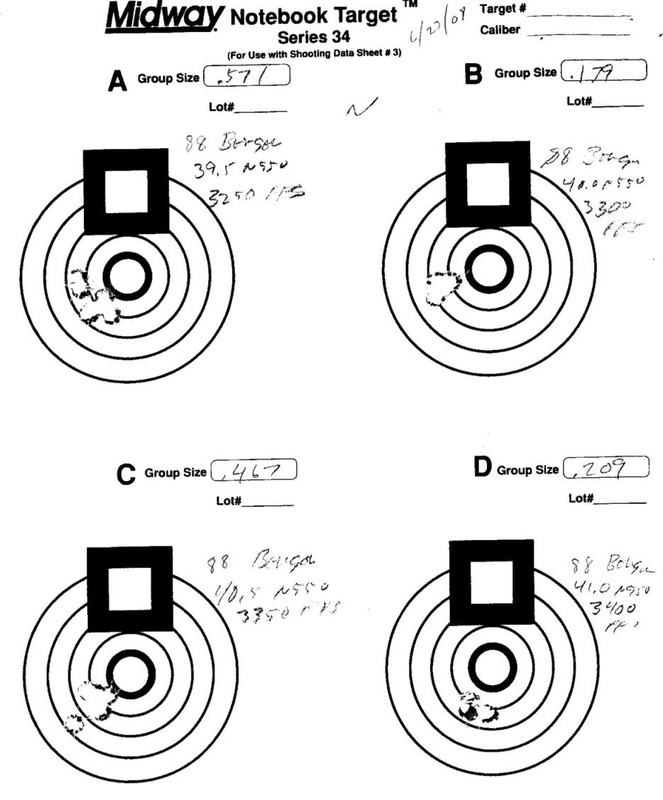 He did extensive group testing with a wide range of bullets from 70 grains to 90 grains. Shown below is a “line-up” of some of the bullets Stan tested in his gun. Stan logged all load data, velocities, and group sizes in a very detailed Excel spreadsheet. Stan’s testing revealed that the light bullets delivered superb accuracy, but they were less than ideal for long shots out past 400 yards. 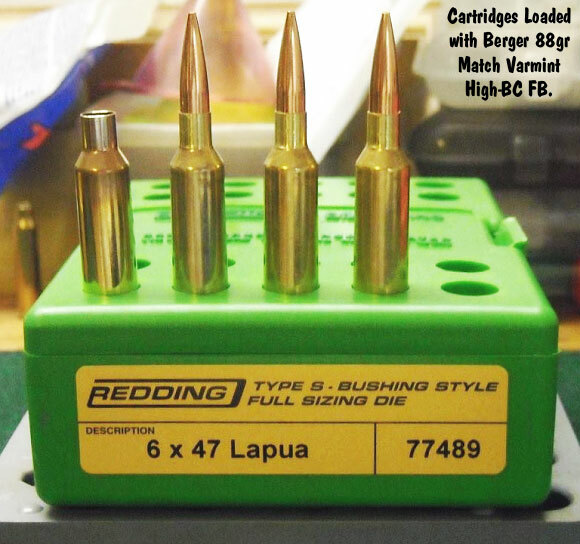 Stan tried the Bart’s 70, Sierra 70 BlitzKing, Berger 80, Hornady 87, Berger 88 Lo-Drag, and Berger 90. Among these choices the Berger 88-grainer was the clear winner for long range (see test targets at right). 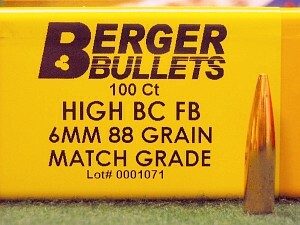 With an 0.391 BC, this unique “Match Varmint High-BC Flat-Base” offers good ballistics, and high velocities. Stan’s average group size with the 88s was 0.40 inches, bettered only by the Bart’s 70-grainer. 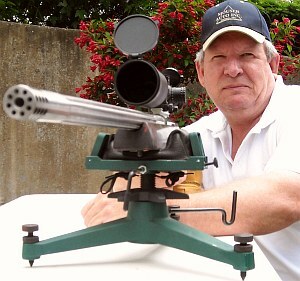 Stan’s 6-6.5×47 can launch the Berger 88s at a healthy 3400 fps, providing a highly accurate, flat-shooting solution. I have owned three rifles chambered in 22-250 and will always own a rifle in this caliber because it is inherently accurate and drives a 50gr bullet at 3800 fps. No question the 22-250 can be deadly out to 500 yards. However, I’ve found that shooting past 400 yards with the light bullets is difficult if there is any wind at all. That’s why I liked my 6mm AI for those longer shots and why I decided on the 6-6.5×47 Lapua for my new gun. I couldnt be happier with my choice. The only thing that could make it better is if Lapua would produce the 6-6.5×47 as an “official” factory 6mm cartridge with 6mm necks right out of the box. This would eliminate the step of running the brass through a Forster full-length 6×47 die before turning the neck and loading. (After the brass has been full-length-sized the first time, if your loads are moderate, you can probably get by with just neck-sizing, at least for a few load cycles.) But overall, I am very happy with the cartridge, and I thank Dave Bruno for producing a superbly accurate varmint rifle. 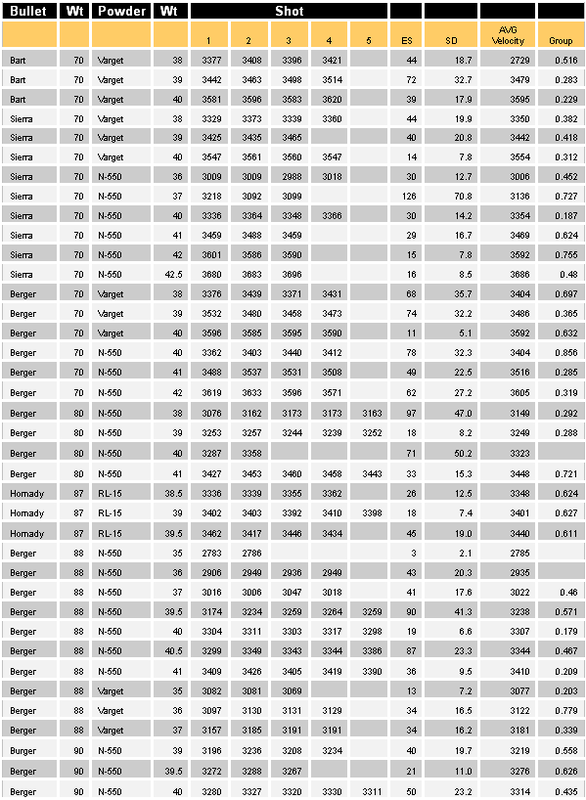 The table below lists 6-6.5×47 reloading recipes, along with my recorded chronograph data and measured groups for 70gr through 90gr bullets. I saw no significant pressure signs with any of these loads–in fact they looked quite mild–but my goals were met at moderate levels. I had no desire to “push the envelope”. 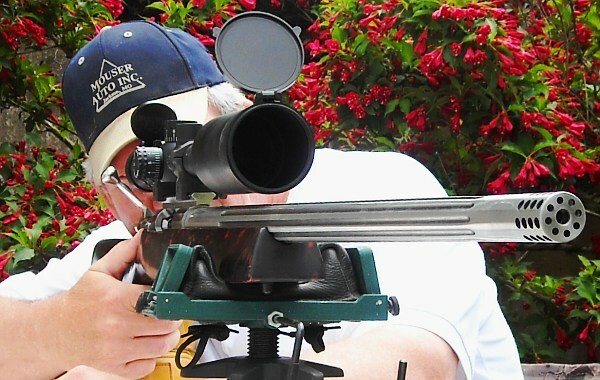 The 6-6.5×47 was able to match or exceed the performance of my 6mm Rem AI. I am able to easily get 3700 fps with a 70gr bullet and 3400 with an 88gr bullet. And I could do that without fire-forming cases! What’s more, the 6-6.5×47 burns less powder (than the 6mm AI) and is more accurate to boot. What’s not to like? WARNING: The loads listed here were safe in Stan Stewart’s rifle but they may be too high for your gun, depending on freebore length, bore dimensions and many other factors. Proceed at your own risk. ALWAYS start 10% below these loads and work up. Seating depths have a huge effect on case pressures–moving the bullet just .010″ one way or another can push a “safe” load into the danger zone. Lot variances with powders can be extreme. Whenever you buy new powder, even the same brand, start 10% low. NEVER assume pressures will be safe if you change lots or ANY component.